Purchasing the correct safety equipment online or at a local retail store can be frustrating, if not impossible, and is only a small part of baby proofing your home. Installing baby gates, cabinet latches and furniture straps correctly can be challenging for any homeowner, and spotting hidden dangers can be difficult to an untrained eye. Let Baby Safe Homes assist you in uncovering hidden baby safety hazards, install products correctly the first time and saving you time, money, frustration, and preventing costly damage to your home. Money – Shipping & returning overpriced and incorrect safety products to the store. Costly Damage to your Home – Installing the right products right the first time! Including NO HOLES banister gates! Together we perform a complete walk-through of your home and provide a detailed, itemized estimate. You decide how much or how little work you would like to have done. Baby Proofing Tailored to YOUR Needs. 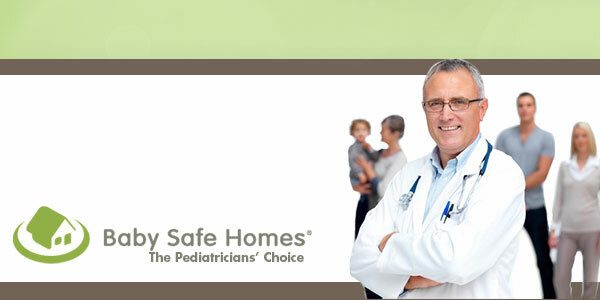 As a parent, your number one concern is the safety of your infant, baby or toddler. Identifying hidden hazards in your home and purchasing the correct baby safety equipment is the MOST frustrating part of baby proofing. You probably have friends who have wasted time and money running back and forth to retail stores purchasing poor quality baby gates, cabinet latches and other safety 1st products that are difficult to install, don’t work correctly, and break easily! 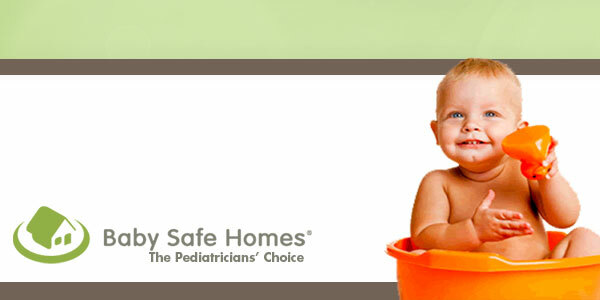 Baby Safe Homes offers only the highest quality baby safety products at competitive prices. Our selection of child safety items are more durable, easier to use and safer than most of what you will find at big box retailers like Babies R Us, Target, WalMart. Installing a baby gate, cabinet latches or other safety products correctly can be challenging for any homeowner. Baby Safe Homes will minimize the dangers in your home, prevent costly damage from poorly installed equipment, and ease your frustration so you’ll know the job is done correctly. We tailor each job to every customer’s individual and specific needs. Your safety consultant will present you with an itemized list of products and labor for your specific needs. Our products are superior to what you will find in retail stores and are competitively priced. After the cost of the products, you are charged for labor for the actual work you would like to have done. Unlike some service companies that charge their customers by the hour, Baby Safe Homes will provide you with the installation cost BEFORE work begins so you know EXACTLY how much you are going to pay. Most installs range between $99 and $250 plus the cost of the materials. We will beat any licensed competitor’s written estimate for the same products and labor. Baby Safe Homes is committed to providing families with peace of mind by creating a healthy environment for their infants, babies and toddlers to explore, learn and grow safely. Our service tailors each job to your specific needs. Most jobs average between $300 and $1200. The two most important factors in determining cost are the size of your home and how much childproofing you would like to have done. After the safety consultation, you will be shown an itemized list of products and labor for your specific needs. We will discuss and adjust the quote to meet your needs and budget. We will beat any licensed competitor’s written estimate for same products and labor. While other companies take an entire day or more to childproof a home, Baby Safe Homes can babyproof an average home in two to five hours. We are very organized, experienced and efficient, and perform much of the pre-work on our own time. We try to eliminate inconveniencing you as much as possible. Can we just buy the products from you and install them ourselves? Yes you can. Most of the products we use can be purchased at the time of the consultation or through our online store. Keep in mind that for products to be most effective, they must be installed properly. We can typically babyproof an entire home in two to five hours. Will you install products we already purchased? If the items you purchased meet our safety and quality standards, we will be happy to install what you have already purchased. Be advise that there are a lot of inferior and poorly made products that break easy, are difficult to use and even more difficult to install. Before any product is installed into your home, Baby Safe Homes has tried and tested each one to meet our rigid safety standards. If it’s not safe enough for my kids, it’s not safe enough for yours! Why hire you? I can do this myself. One of the main reasons we started Baby Safe Homes was due to the frustration encountered while attempting to make our own home baby safe. When I set out to childproof our home, I did what every parent does — head for the local retail store to purchase child safety devices. To my surprise, the knowledge of the employees was lacking, the selection of products poor, and quality of the merchandise mediocre. Returning home disappointed, I searched the Internet and browsed through catalogs. I ordered what I needed, and ten day later the items arrived. Though most of the products were good quality, many did not fit correctly or required some extensive know-how to install. In addition, I spent a small fortune on shipping costs. Once I found some that actually worked, it still took me all weekend to install the products. I thought, “Who has time for all this? There has to be an easier way.” I can not tell you the countless homes I have babyproofed after the best intentions of my customer to do-it-themselves. Leaving multiple holes in the banister and drilling holes through their kitchen cabinets, they all wish they had just called us first. 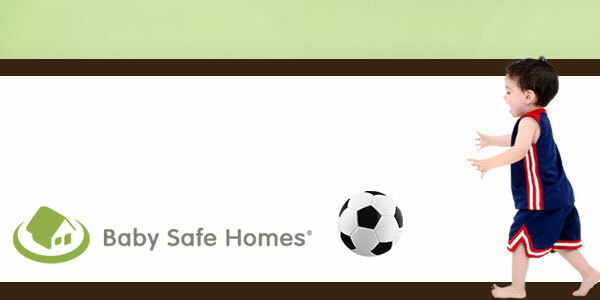 Baby Safe Homes will save you the hassle of searching and shopping for the correct items and the inconvenience on returning the wrong ones. We are experienced professional installers with all the right tools and equipment and can complete a typical home in two to five hours. Leaving you more time to doing the things you enjoy. It’s easy. Please call +44 (0) 207 559 1491 or by email. We appreciate the opportunity to assist you with your childproofing needs. Serving London. Please call for areas not listed.